As I may have said many times, Paneer in any form is most sought out at home. Off late with the frequent power offs, we run the risk of getting the milk spoilt. So we end up with loads of paneer all the time. And of course given the fact that Konda and Peddu love Paneer dishes we always try to make different snacks with it. Hubby dear has strictly asked me not to serve him PBM, with the frequency I ended up making it. So the next best thing we decided to do are these snacks for the kids. Konda loves all the varieties we make. This crumble paneer was what I had ready to make those Mini Cinnamon rolls. I ended up having more than I needed, so made these bondas for them. It disappeared quicker than I made them! Crumble the paneer and mix in all the ingredients. Divide into small tight balls. For the batter, take the ingredients in a bowl, slowly add water and make a semi thick batter. Cook on all sides and remove to a kitchen towel. Enjoy as such or with sauce! Looks good..I shall try these sometime .. If you happen to bake anything this month, please send it across to my event..
Wow crumbled paneer in a bonda is definitely new for me. They look awesome. Have a great weekend Valli. 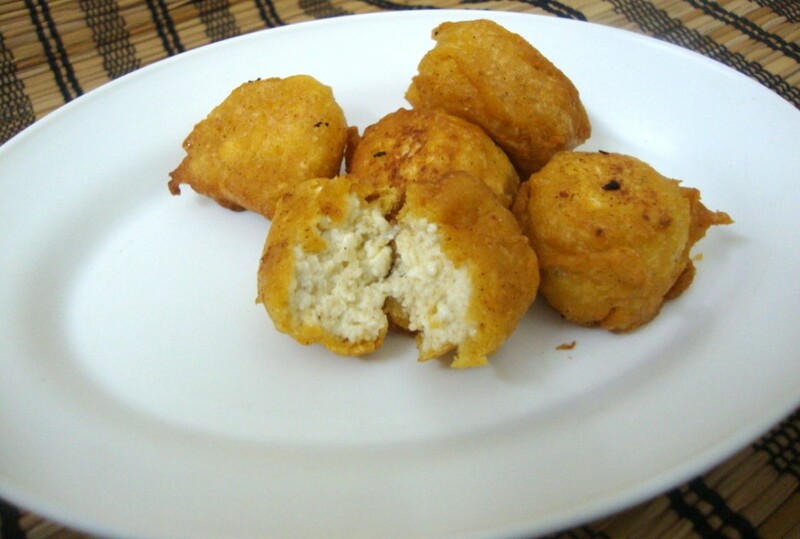 Paneer bondas looks super crispy and irresistible..